What a wonderful week it has been – not only is it finally cold enough to break out my favorite sweaters, hoodies, and wool coats, but Ohio saw its very first snow of the year on Thursday, and I couldn’t be more delighted! The mini-blizzard came and went faster than you can say I should probably get snow tires, but this little glimpse into the future already has me daydreaming about the upcoming holiday season. I know, I know, it’s way too early for snow, you say. It’s not even Halloween! Sure, I get that. But follow my logic for a moment: snow means cold, and cold means you need to put forth extra effort to maintain a comfortable body temperature. 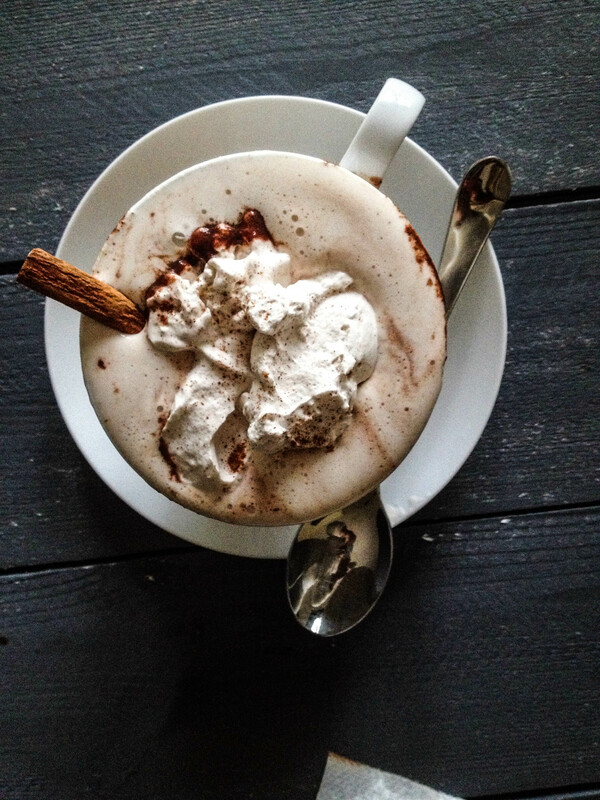 This can only mean one thing: warm, decadent beverages topped with whipped cream. This week’s cold weather was making me craving something spicy and sweet, so I did some experimenting and ended up with this recipe. 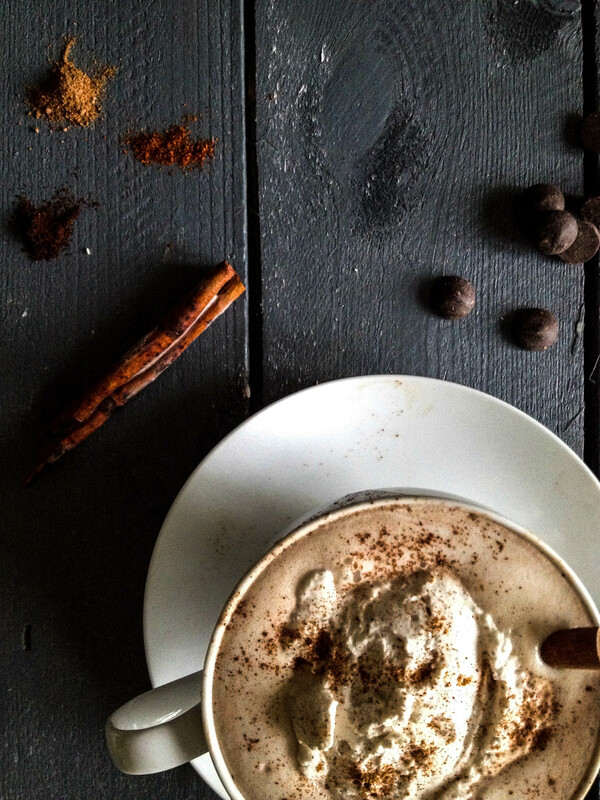 It is similar to Mexican hot chocolate, but I hesitate to say that because 1) it does not contain authentic Mexican chocolate and 2) I don’t know enough about traditional Mexican hot chocolate to speak intelligently about it, so…yeah. 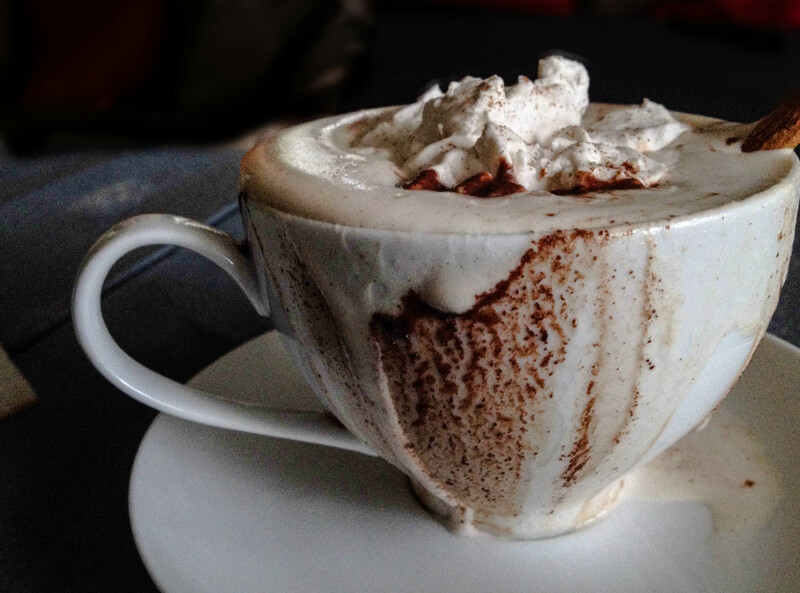 Instead of bringing you cultural insights, I offer you this instead: a warm embrace in the form of rich, smooth chocolate, mildly spiced with nutmeg, cloves, cinnamon, and cayenne, and topped with a soft and sweet cinnamon whipped cream. But be warned – this stuff is not for the faint of heart; it’s super rich! Have you heard the term “drinking chocolate?” It’s more like that. So, if you enjoy the milkier, Swiss Miss varieties of hot chocolate out there, this might not be for you. (But you can, of course, always add more milk if it gets too spicy for your liking). 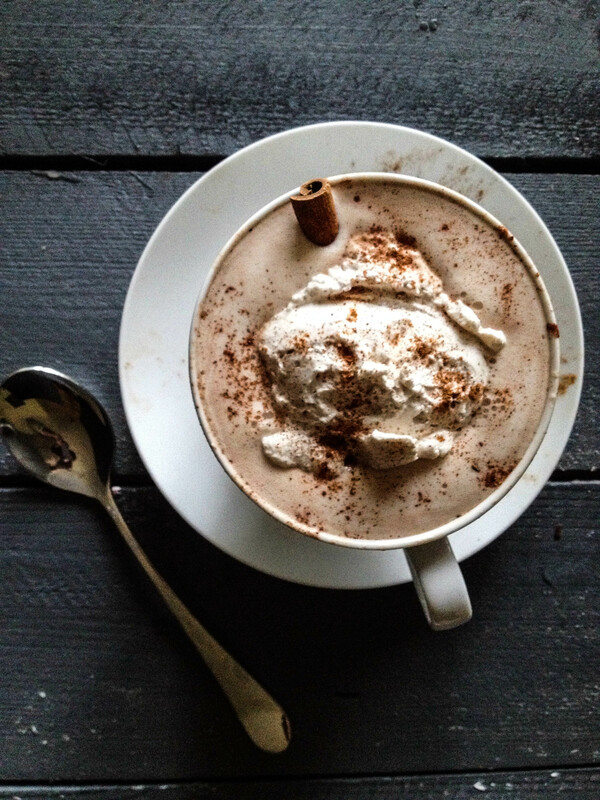 What’s your favorite cold weather drink? 1) In a medium saucepan, warm the milk on medium heat until it begins to steam. 2) Whisk in the sugar, cocoa powder, spices, and salt until sugar and cocoa powder have dissolved, about ten minutes. Be sure to taste as you go along so you can add more spices if need be (or more milk for a milder flavor). 3) Stir in the chocolate until melted, remove from heat. 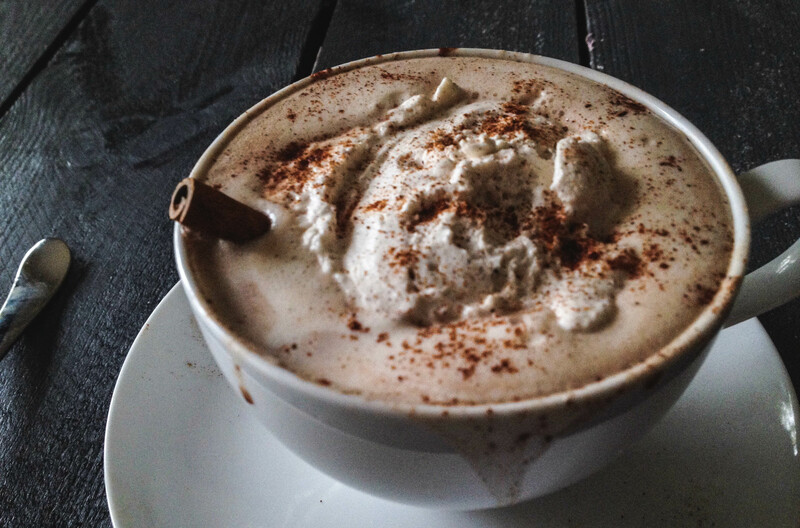 1) Combine heavy cream, sugar, cinnamon, and vanilla in a chilled bowl. Beat with an electric mixer until soft peaks form (but do not overheat). Oh dear god, this looks DIVINE… We’re almost at the end of spring but this is definitely going to happen! Reblogged this on bertleg's Blog.